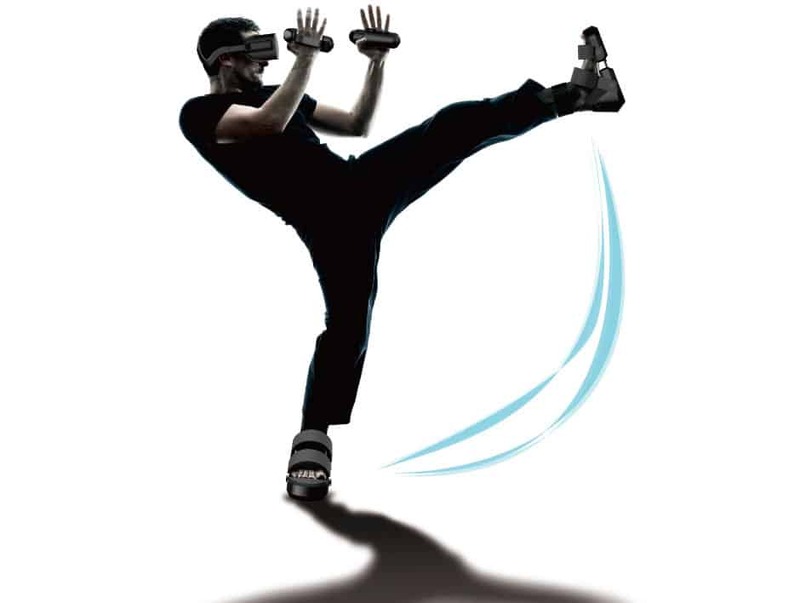 VR Shoes and Gloves Provide A Deeper Immersion Into Your Games | Nerd Much? So, if a Resident Evil blood scented candle isn’t enough for you, you can now buy VR shoes and gloves from Cerevo. The company is yet another startup looking to cash in on the VR market and might turn out to be a legitimate experience worth having. The shoes and gloves (called Taclim) provide haptic feedback, so you can feel the ground your walking on and whatever you might be holding (or punching) in your game. The only catch at the moment is the price, software availability, and initial reviews say that “I stepped on water, concrete, and sand. Each different element provided a different sensation on my toes, the balls of my feet, and my heels. I wouldn’t call it realistic, but the sensation did at least somewhat help me suspend my disbelief.” The price is a hefty $1000-1500 at launch and Taclim is currently only available for Google VR. The company does hope to expand to Oculus Rift, HTC Vive, and PlayStation VR soon however. Once that happens, Cerevo wants to add tracking sensors to Talcim as well. As cool as this is, it’s not very good yet and far too expensive for such limited software and experience. Nonetheless, I remain hopeful that one day we can bring the holodeck into our homes at leisure one day. What do you think of these VR shoes and gloves? Are they worth it or just another pricey gimmick? Let us know in the comments below!